If you have extra or loose skin on your neck then some yoga asanas will be very beneficial to get relief from this problem. 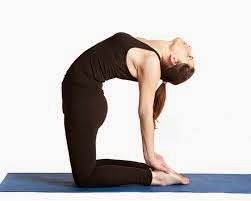 In this article I will discuss some proven yoga poses for reducing neck extra fat. Below discuss yoga poses specialy target on neck area. It will hardly took 15 min to give you wonderful look. For doing Brahma mudra first sit in padmasana in dhyan mudra.then turn your neck towards left and right side. Repeat it. For doing ustrasana first sit in vajrasana position the slowly slowly stand on knee, with shoulder apart. Then turn upper body to the rightside.